The names of the winners of the competition for the right to receive grants of the President of Russian Federation for state support of young Russian scientists – PhDs and Doctors of Sciences for the years 2019-2020 were announced few days ago. In the “Chemistry, novel materials and chemical technologies” direction three employees of the Institute of High Temperature Electrochemistry of UB RAS have received the grants at once: PhDs in chemistry Vadim Eremin, Yevgenia Ilyina and Yulia Lyagaeva. A member of the Solid State Oxide Fuel Cells laboratory Vadim Eremin studies the layered cobaltites of rare earth elements and alkaline earth metals with a perovskite structure, which can be applied as cathodes in electrochemical devices. One of these materials is cobalt-ferrite of barium-strontium, but it has several disadvantages.Oxides obtained by doping the cobalt – ferrite with highly charged 3d metals are free from these disadvantages but are not studied enough. As a part of the project, the young scientist plans to investigate the influence of the processes of defect formation and oxygen concentration in these oxides on the kinetics of interaction with the gas phase oxygen. 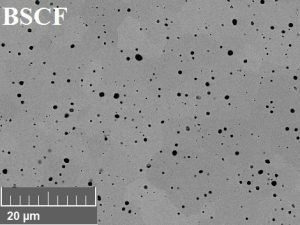 The data obtained will be used in the selection of suitable materials for the cathodes of modern electrochemical devices. The project of Evgeniya Ilyina (the Laboratory of Electrochemical Power Sources) is devoted to obtaining highly conductive solid electrolytes based on lanthanum lithium zirconate according to the sol-gel technique, as well as to optimizing the lithium electrode/electrolyte interface. This will allow developing complete solid-state battery and eliminate the use of flammable and explosive organic solvents in batteries. 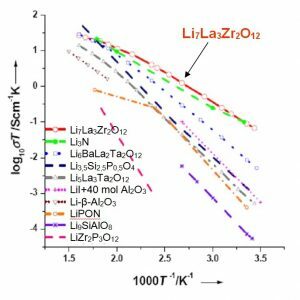 Yulia Lyagaeva (the Laboratory of Electrochemical Devices Based on Solid Oxide Proton Electrolytes) plans to explore new materials based on iron-modified cerate-zirconate barium, which have an increased proton-electron transport and resistance in reducing atmospheres. The use of such materials in membrane installations for the hydrogen obtainment allows improving efficiency of obtaining this valuable product and carrying out conversion processes. Evolution of structure for materials based on Ba (Ce, Zr, Fe)O3 in dependence on the substitution degree of cerium with iron. 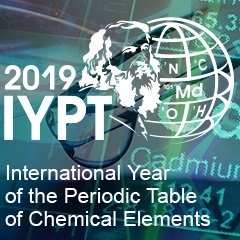 The grant of the President of Russian Federation to Maxim V. Ananiev ,the IHTE UB RAS director, DSc in Chemistry, was also extended for the year 2019. 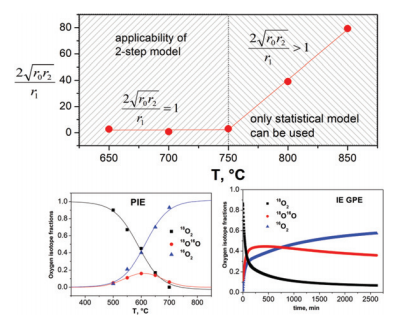 During the first year of the project, the fundamentals of methane isotope exchange and isotope exchange methods with a pulsed feed of an isotopically enriched mixture for two-component gas mixtures have been developed. This will expand understanding the mechanisms of the gas phase components interaction with oxide electrochemical materials. According to the data obtained, several articles were published in such journals as Catalysis Letters and International Journal of Hydrogen Energy.